Sealed and signed agreement with Hermitage Group in Seville. 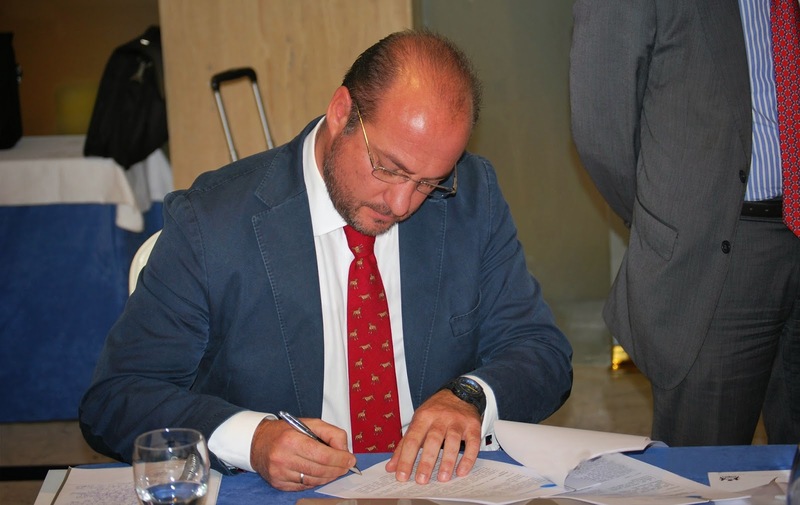 A collaborating agreement between both companies was signed the 19th of November in Seville, Spain. Both D. Vicente Caseiro as CEO from Hermitage Group, and D.Miguel Garrido as Managing Director of Freelance Global Company, intervened to create the agreement. Sporting projects, general construction, engineering & real estate assets, and import and exportation, have begun to take place in a very solid manner. An upcoming visit of Hermitage's Group CEO and Managers to Seville will allow evaluation of the near developments.